Dish Up Some Fun! This Thumb Style Scoop is the perfect way to consistently provide 2 1/2 ounces of ice cream or gelato. 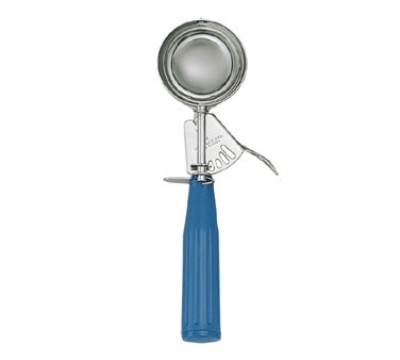 The blue handle on this ice cream scoop will bring a touch of color and fun to your shop. 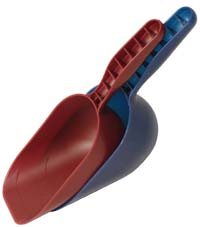 Whether your guests want one scoop or five, in a cup or in a cone, this scoop will easily do the job. The thumb release on this dipper means quicker service. Order yours today and start scooping away!